Mr. Bhan is responsible for Sales, Customer Care, Parts Business and Global Parts Center operations. He is a Post Graduate in Management (MBA) from South Gujarat University. He joined the company in Jan 1991 in Sales function based out of Vadodara, looking after the state of Gujarat till 1994 post which he moved on to take charge of Maharashtra, as the state head. He went on to Head East Zone based out of Kolkata in 1995 and later took up other key responsibilities as Head of West and North Zones, before starting the Rural Vertical in 2007 and eventually moving on to take over as the Marketing Head in 2008. As Head of Marketing he was responsible for the successful launch of the new brand Hero, widely acknowledged as one of the most successful re-Branding exercises along with the hugely successful corporate campaign "Hum Mein Hai Hero". Mr Bhan has over 2 decades of extensive automobile and two wheeler Industry expertise and an intimately deep understanding of consumers and insights across regions. An avid sports person who loves football and cricket. 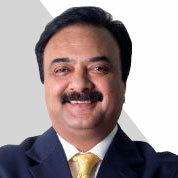 Prior to joining the Hero MotoCorp (then Hero Honda), he worked with Dunlop India Ltd.